Tourism – it’s the cornerstone of our economy in Hervey Bay and surrounding communities in the Fraser Coast Regional Council. We are blessed with an abundance of attractions in close proximity to our region, from Fraser Island, to hand-feeding dolphins at nearby Tin Can Bay, to exploring the southern Great Barrier Reef around Lady Elliot Island. Now, we have one more attraction that’s set to bring in visitors from far and wide: HMAS Tobruk. HMAS Tobruk was a landing ship of the Royal Australian Navy named after the famous siege of Tobruk in 1941, in which 14,000 Australian soldiers forged their place in history defending a dusty port on the Libyan coast of North Africa. For 242 epic days in 1941, the ‘Rats of Tobruk’ showed what could be achieved with Australian ingenuity and doggedness by demonstrating that the Nazis were not invincible. 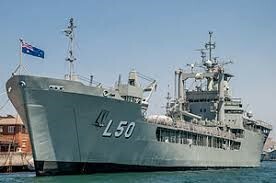 In the 1970s, HMAS Tobruk was commissioned to provide the Australian Army with a dedicated sealift option. Designed to be a flexible roll-on/off heavy lift mode of transport, HMAS Tobruk’s defining feature was her massive “barn-door” bow doors. Able to carry up to 500 soldiers plus cargo or vehicles, she could deploy them directly by beaching. HMAS Tobruk was decommissioned in 2015 following a 34-year operational history, having sailed over 947,000 nautical miles and having been deployed in 26 major operations. HMAS Tobruk’s reputation as the workhorse of the navy was well-deserved. Following her decommission, HMAS Tobruk was sunk off the Fraser Coast last year, with the intention of making her a dive site. Finally, divers from across the world can explore her unique doors and cargo deck. The ship’s sheer size makes for a fascinating dive, as do many other features which will interest both casual divers and military wreck enthusiasts alike. With approximately one million newly certified divers each year worldwide, diving is emerging as a major driver of tourism that can stimulate economic growth, and create decent jobs and business opportunities. Right across Queensland, tourism makes a significant contribution to economic activity and job creation. It generates over $25 billion annually for the state and employs nearly a quarter of a million people. With the launching of HMAS Tobruk as a new world-class dive site, the Fraser Coast region stands to capture a bit more of the diving tourist market, which is an important subset of the overall tourism market. With a stronger tourism industry comes stronger property prices. This is due to a number of reasons. Firstly, tourist hotspots tend to result in the government investing in the infrastructure and facilities available in the region. With ongoing enhancements and upgrades, including local roads, highways and public transportation, the region becomes more desirable as a place for people to live, helping push property values higher. Secondly, tourism attractions act as a magnet for a host of other businesses including hotels, restaurants, food and beverages outlets, shopping malls and entertainment centres. All these businesses generate jobs which help attract people from other areas to relocate. This population boost also helps drive property prices up. Thus, we see new tourism attractions, such as HMAS Tobruk, as able to provide a significant boost to our local real estate market in Hervey Bay and the broader Fraser Coast Regional Council area. How Mitchells Realty can help? If you’re thinking of buying property in Hervey Bay or the surrounding region, speak to us at Mitchells Realty. We have properties to suit every buyer and budget. With the expanding local tourism sector, investing in property in the Fraser Coast is sure to be a good bet!